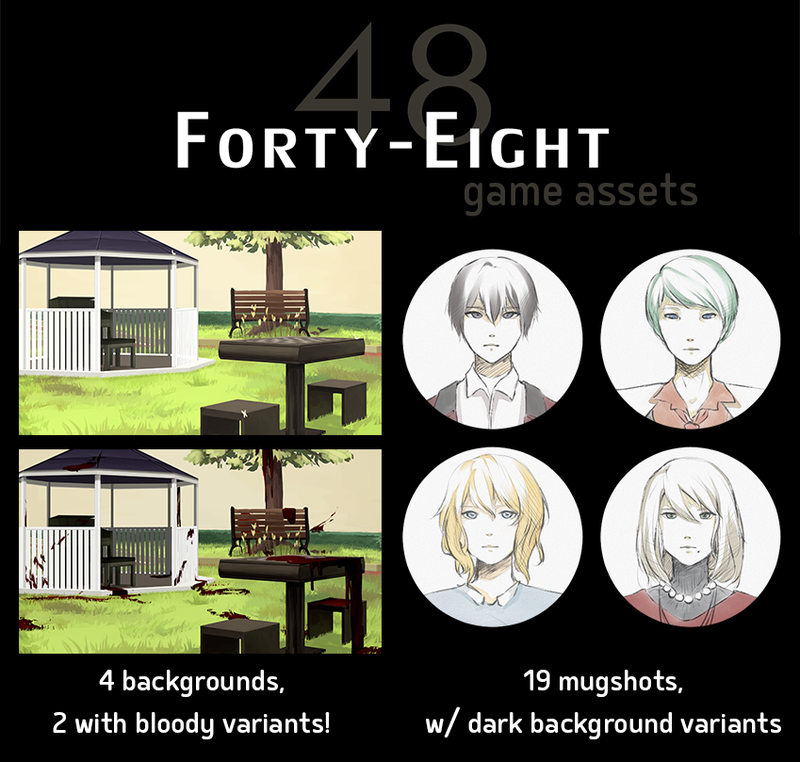 Game assets from the unreleased NaNoRenO game, Forty-Eight! The license is Attribution-NonCommercial 3.0 Unported. That means please credit and don't sell! You can edit and use freely as long you do so. 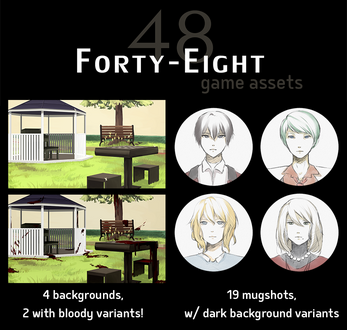 Please note that some of the backgrounds are very bloody!